San Francisco, CA — A man accused of a fatal 2012 shooting was acquitted of all charges Monday after police used a controversial interrogation technique to elicit a false confession that was contradicted by physical evidence, San Francisco Public Defender Jeff Adachi announced. Jurors deliberated less than three days before finding San Pablo resident Sterling Samm, 21, not guilty of murder, robbery, attempted robbery and felony gun possession, said his attorney, Deputy Public Defender Christine Schenone. If convicted, Samm faced life in prison. Samm was charged in the Oct. 30, 2012 attempted robbery and killing of 28-year-old Jose Matias-Aguilon on 20th Street and South Van Ness Avenue in the Mission District, as well as a robbery 20 minutes earlier in the neighborhood at 17th and Capp streets. Samm was arrested in both crimes, along with two other men and a 14-year-old boy in the area, shortly after the shooting. Around the corner, police found a semi-automatic weapon and a revolver stashed in a compost bin. Down the street, they recovered two hoodies, a ski mask and a black glove. The boy’s case is currently in juvenile court. The other two suspects were released after questioning. Witnesses immediately ruled out Samm as a participant in the crimes. In a cold show at the scene, the earlier robbery victim positively identified the juvenile as his assailant and specifically said “not him” about Samm. Two people who witnessed the fatal shooting described the killers in their 911 calls as three to four short Latino men. Samm is 6-feet tall and African American. At the end of an interrogation, however, investigators extracted a vague confession from Samm, who suffers from severe attention deficit hyperactivity disorder. The confession was the result of an interrogation technique that has been widely discredited for its record of producing false confessions from innocent people, particularly the young. 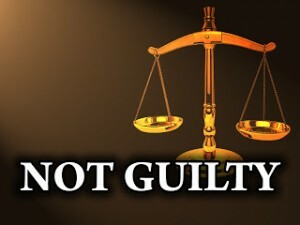 In recordings presented at trial, police investigators can be heard telling Samm he will receive the death penalty unless he confesses to the killing and urging him to agree with a false narrative that the victim grabbed his gun during the robbery. Investigators also lied to Samm about the evidence, saying he was caught on video, that witnesses picked him out of a line-up, and that the 14-year-old implicated him in the crime. In fact, none of the other suspects implicated Samm or even knew his name. On the stand, an investigator admitted to constructing the narrative about the victim grabbing the gun and lying to Samm about the evidence as a “technique” to obtain a confession. Forensic evidence presented at trial also supported Samm’s innocence. While prosecutors argued that Samm used the revolver to shoot Matias-Aguilon at close range, the victim had no gunshot residue or soot on his body and there was no stippling on the wound—all indicating he was shot at a distant range. Additionally, Samm’s hands were free of gunshot residue and ballistics experts determined there was no evidence the revolver had been fired recently. Adachi said the case demonstrates how easily psychological manipulation can create false confessions. Samm, who had been in custody since his arrest, has been released from jail.